Pordenone, a settlement, built in Roman times, on the shore of the river Noncello, evidenced by the discovery in district Torre of traces of a Roman villa, is the main city of its province with modern and dynamic aspects. In the early XVI century Pordenone was under the dominion of the"Serenissima Republic of Venice", but with the honour to keep its own rules and privileges. The old town centre proposes an elegant high street with archways and magnificent historical buildings with fresco paintings. 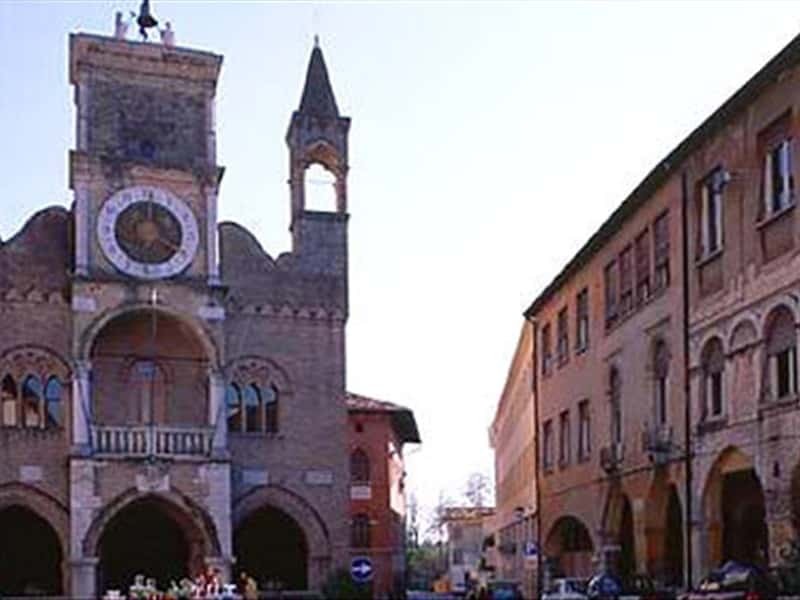 An important example of the trading wealth of the inhabitants, are: the "Town Hall" with its gothic patterns, the "Ricchieri" mansion, built in XIII century and actually home of the Civic Museum of Arts, the "Mantica" mansion and the "Gregoris" mansion. Not to miss is the old convent of Saint Francesco, built in 1419, which conserves a series of interesting fresco paintings in its cloister and in its church and is now maintained by the Town Hall for important exhibitions. The Cathedral of Saint Marco erected at the beginning of the XIII century in Romanesque-Gothic style, and in someway redefined in the XVI and the XVII centuries, was built in one unique nave with a series of side chapels on a project the '500. It exhibits a valuable altar piece, known as the "Madonna of Mercy", of the artist Giovanni Antonio de' Sacchis, known as "il Pordenone". The Steeple, completed in 1374 and renovated in the XVIII century is 79 meters tall. Worth a visit are: the Church of Saint Mary of the Angels (Santa Maria degli Angeli), known also as "of Christ", where a wooden Cross of the early '400 is exhibited; the Church of Sacred Trinity, a clear example of a central planned church with fresco paintings of Giovani Maria Calderari, apprentice of the Pordenone (artist); and finally the Church dedicated to Saint George, built in Neoclassic style with a bell tower by G.B. Bassi, which overviews the city as a large Doric column. This town web page has been visited 30,612 times.